Will you secure your families future? I’m young – why should I make a will? 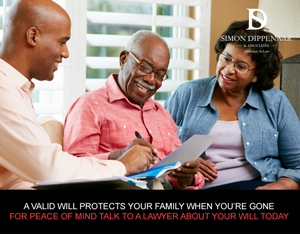 Wills deal with the distribution of assets after death, so most people think of them as an end-of-life issue. Why would someone in the prime of life want to think about what happens after their death?